Home › Articles › What Should Your Agribusiness Insurance Plan Cover? What Should Your Agribusiness Insurance Plan Cover? Agribusiness insurance plans are as varied as the business types they are designed to cover – which includes farms, ranches, dairies, and wineries, as well as packers, processors, producers, and distributors of agricultural products. Because each of these businesses has its own set of risks, they each require a unique set of solutions that are designed to protect them and their most valuable assets in the case of a disaster. By remaining aware of the risks that threaten your agribusiness, and by putting in place the proper insurance plans to protect it, you put yourself in the best possible position to safeguard all that you have worked so hard to build. What Type of Insurance Do I Need for My Agribusiness? Property Insurance. Property insurance for agribusiness is designed to protect your buildings and their contents, including your equipment and personal property. That means it covers your inventory, furniture, supplies, business income and equipment from losses caused by fire, lightning strikes, hail, windstorms, explosions, theft, vandalism, and damage from vehicles or planes. Business Income Insurance. If your business is affected by any of the above-mentioned disasters (i.e. fire, storm damage, vandalism, etc.) and you are forced to shut down operations for a period of time, business income insurance will ensure that you remain able to pay your bills, your employees, your rent or mortgage, your suppliers, your taxes, and even yourself. General Liability Insurance. General liability insurance covers your agribusiness against bodily injury lawsuits; property damage; personal injury liability; employee benefits liability; fertilizer, herbicide, and pesticide liability; grain title liability; and seedsmen’s liability. Business Auto & Fleet Insurance. A must-have for any business that owns and operates vehicles, business auto and fleet insurance is a type of blanket coverage that protects all of your company vehicles against physical damage. It even offers out-of-state coverage for vehicles that are often used to travel long distances. How Do I Choose the Right Agribusiness Insurance? Although there are a handful of variables at play, establishing the right coverage for your business does not have to be a stressful undertaking. 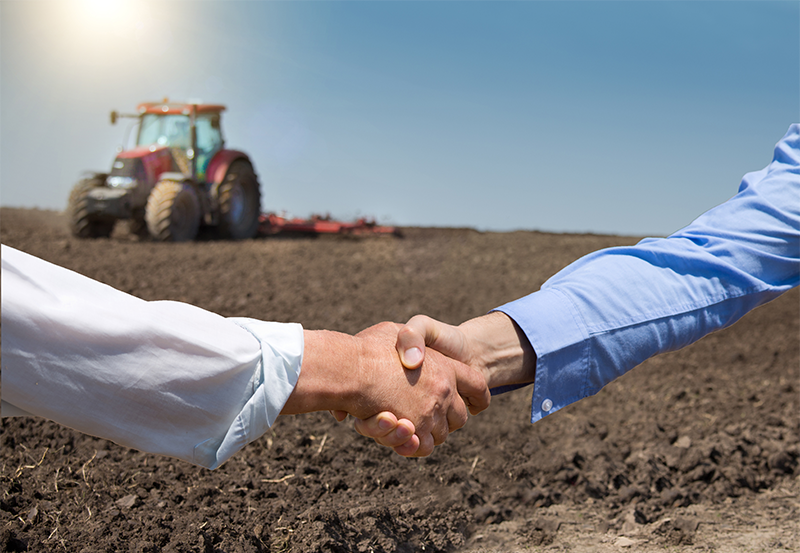 Your best bet is to reach out to an insurance agency that is well-versed in the complexities of the agricultural industry for help determining the best fit for your needs. At SWZ Insurance, we regularly handle large, complex agricultural businesses and serve as one of the largest writers of transporters of agriculture products in the U.S. We are proud to be the broker of choice for some of the most prestigious accounts in the country. Contact us today to find out how you can get comprehensive coverage for your agribusiness.